With much focus being on Big Data and how it will change our understanding of data sets, to many it begs the question: How does Big Data Change Data Governance and Quality? If you think about it, it must be. 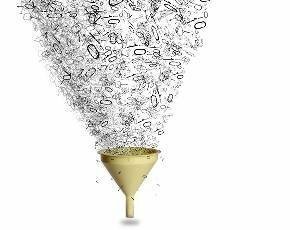 In practice, large data sets are known to be “messy” and most of them are from external sources such as open data and social media, which simply makes it harder to keep practicing traditional forms of data governance. Maria C. Villar, who’s a managing partner at Business Data Leadership, a business data management firm, recently focused on addressing this issue in her excellent Information Management article. When concerning Big Data, you have to discard any need you may have of total control and perfection, especially when it comes to quality and governance. Similarly, Villar warns that you can’t govern every aspect of Big Data. Instead, the idea of Big Data governance is based on collaboration and specifying what matter and what is “good enough”. Villar states, that Data governance should be a process based on collaboration that identifies, “the most critical, strategic, shared big data sources and specific data fields that are the most important to govern”. To be brief, Big Data will actually force a conversation between data governance and quality. However, the tone of the conversation will be more towards the risk factor involved and what’s considered practical. Sure consultants and analysts always tell people that it’s never early to start a conversation about data quality and governance. Since people are people it’s actually a very common mistake that we simply ignore the conversation and move on without focusing on data governance at the start of the program. According to Capgemini’s Scott Schlesinger, who specializes in Business Information Management, it will be much better to think that data governance will just agree with the processes and standards you will use for using, storing, identifying and collecting data and if you really think about it that’s exactly what you’ll be doing anyways. However, beware of governance laggards that focus on conversations about governance becoming more crucial, especially when your data governance is weak or nonexistent. “Your data governance may not be that strong to start with. Big Data will make it worse,” Schlesinger warns.